Fun sticker of a girl dressed up as an older woman with flowery hat and pearls. 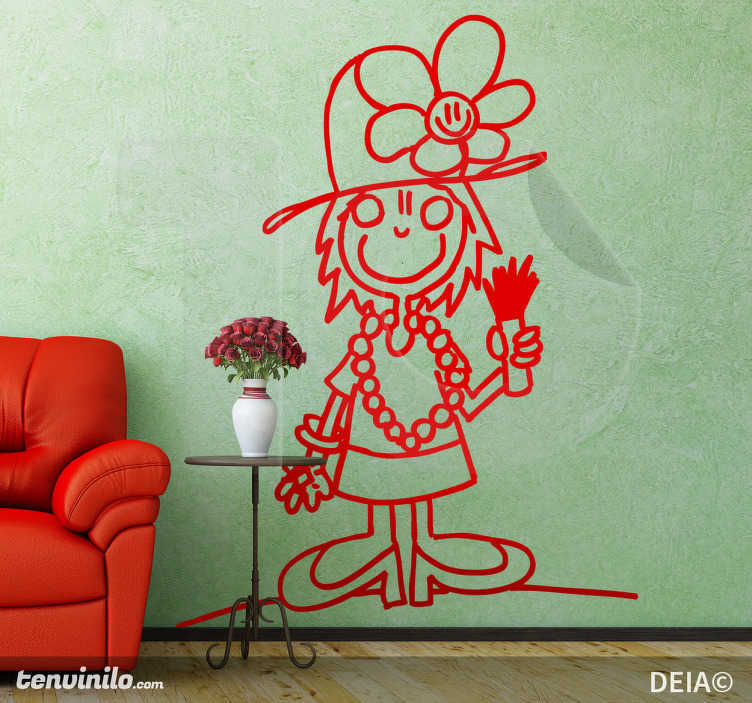 An original illustration by artist DEIA for tenstickers.co.uk. This decal is perfect for your children's bedrooms if they have an active imagination and love to play dress up.